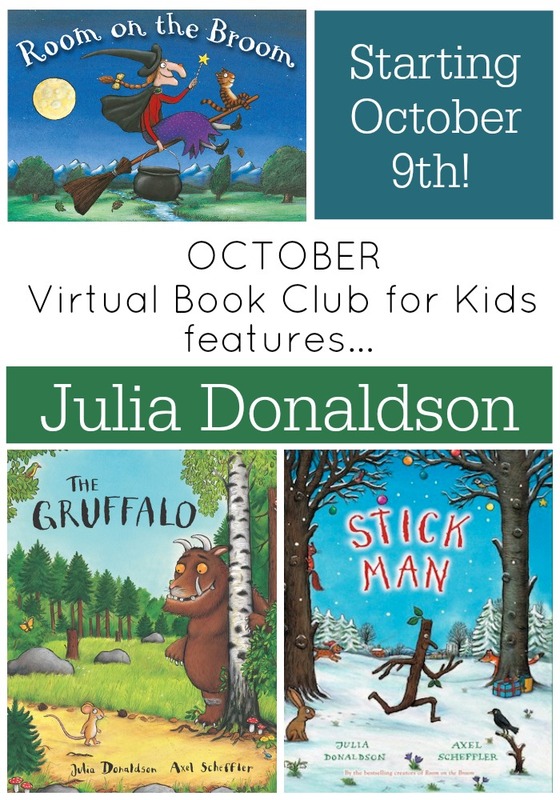 Virtual Book Club for Kids Features Julia Donaldson in October! 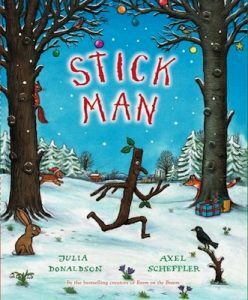 >> Virtual Book Club for Kids Features Julia Donaldson in October! Each month Virtual Book Club for Kids selects a new author to feature. You can find the full list of featured authors for 2014-2015 on our recent Virtual Book Club for Kids Announcement post. 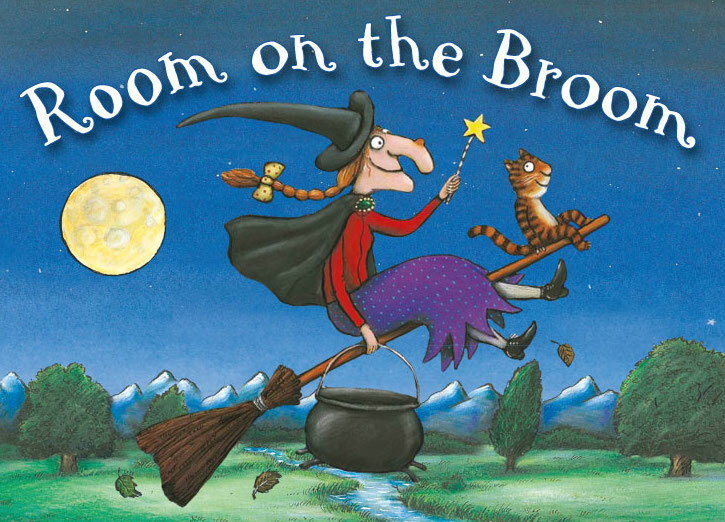 This October we are featuring the amazing Julia Donaldson! You can read more about Julia Donaldson over at The Educators’ Spin On It and even check out some video clips that include her. Julia is an author from the UK and is probably best known for her classic story, The Gruffalo. For Virtual Book Club for Kids we selected three of our favorite Julia Donaldson books to spotlight this month! Have you read any of these books yet? 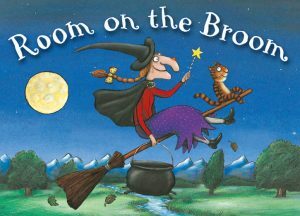 Room on the Broom is a perfect read during Halloween! My kids love following along while the witch loses and then finds things on her adventure. We even shared some favorite witch crafts and activities to go along with this book last year. 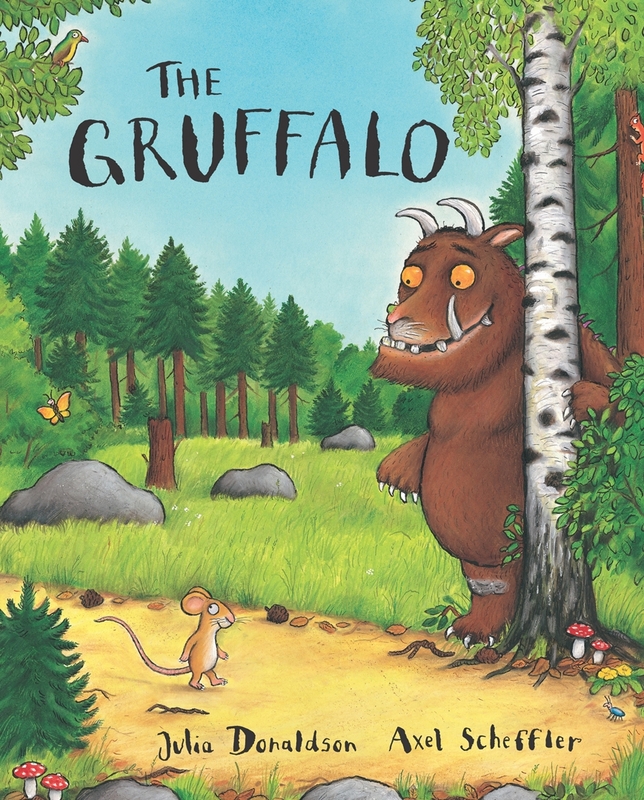 The Gruffalo is a wonderful story filled with rich language and great illustrations. It tells the tale of a very smart little mouse and how he tricks the Gruffalo into letting him stay alive. Stick Man is a jolly book that tells about the adventures of Stick Man. I love the repetitve rhymes in the story which make it an awesome book to re-read again and again. 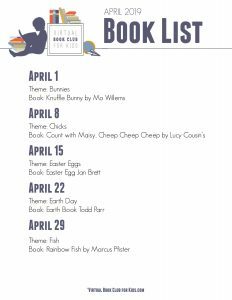 Add the Virtual Book Club for Kids dates to your calendar and start reserving or finding your books! 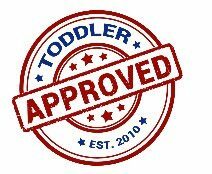 Pick at least one book to read with your child this month. Do a book inspired craft or activity after you read the book. Come stop by on the second Thursday of the month and tell us what you did here in the comments or over on our Virtual Book Club for Kids Facebook page! We hope many of you will join in with us! For the full list of all of the featured authors and books make sure to consult our Virtual Book Club for Kids 2014-2015 announcement post. 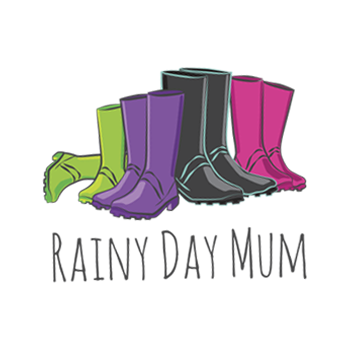 Feel free to join our Pinterest boards too and find loads of other children’s book inspired activities.